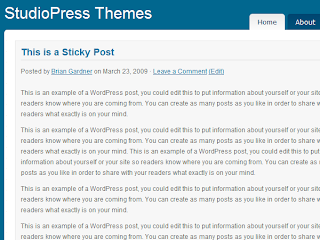 Description: Shades of Blue is a 2-column theme created for WordPress. The sidebar and the footer are fully widgeted, and the navigation is coded for drop-down menus. Shades of Blue has been developed to accomodate threaded comments and sticky posts. This elegant and clean theme was developed by StudioPress.